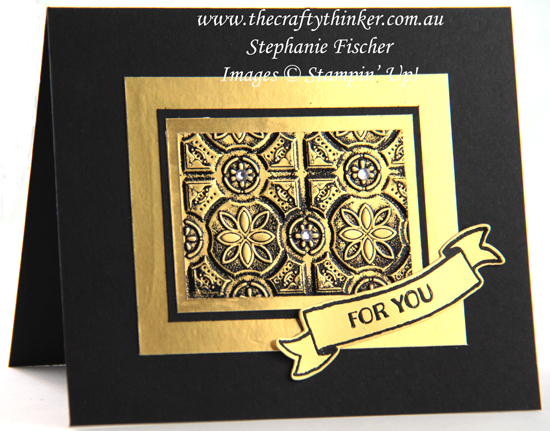 In recent posts, I've been sharing cards that I've been making with metallic finishes using dry and heat embossing. 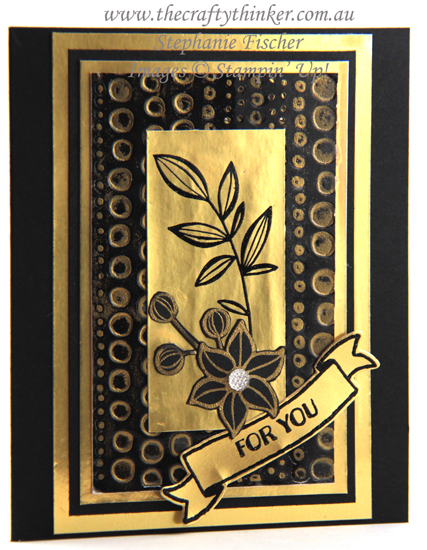 I've now finished the two sets of six cards for donation to a fundraising silent auction and thought I'd share the rest of the cards with you. 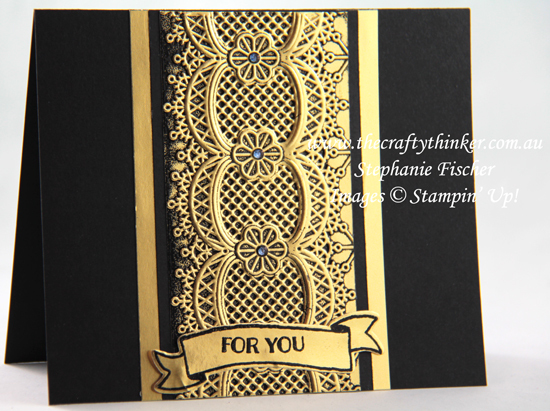 For details about how I made them see this post and this post. 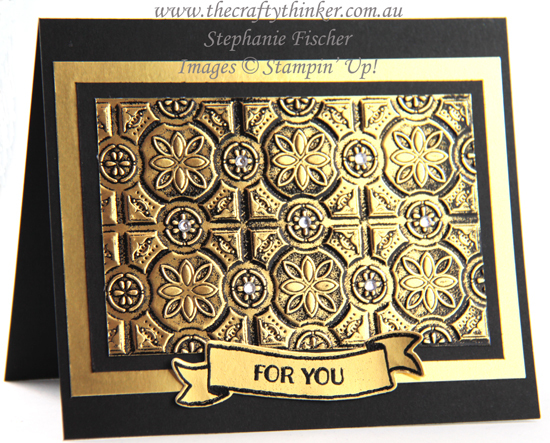 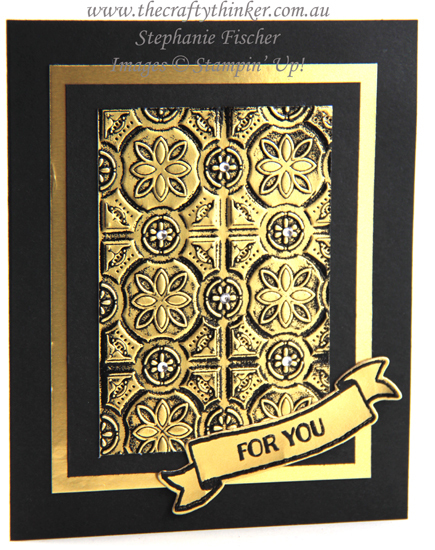 The Dot to Dot embossing folder, Black Foil Sheet gold heat embossing. 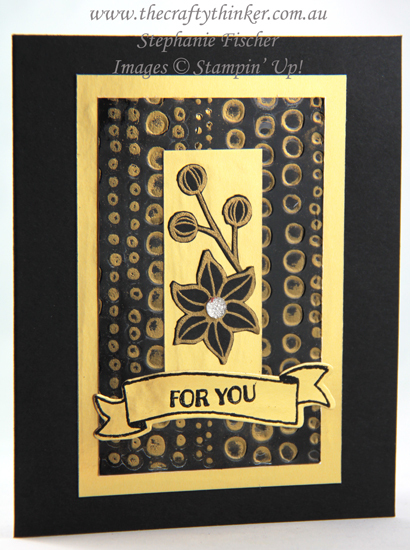 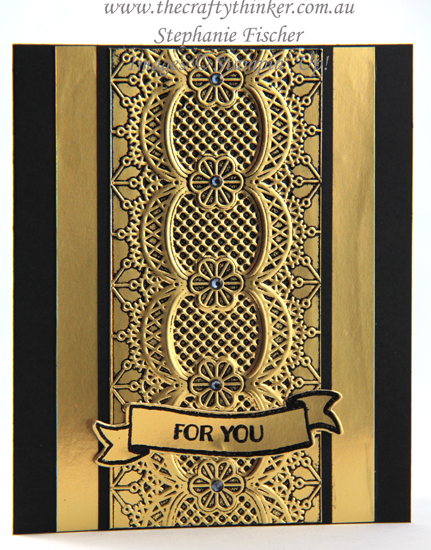 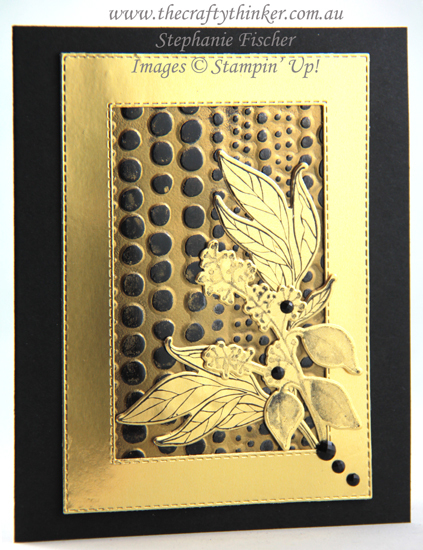 The flowers are gold heat embossed on black card and cut out. 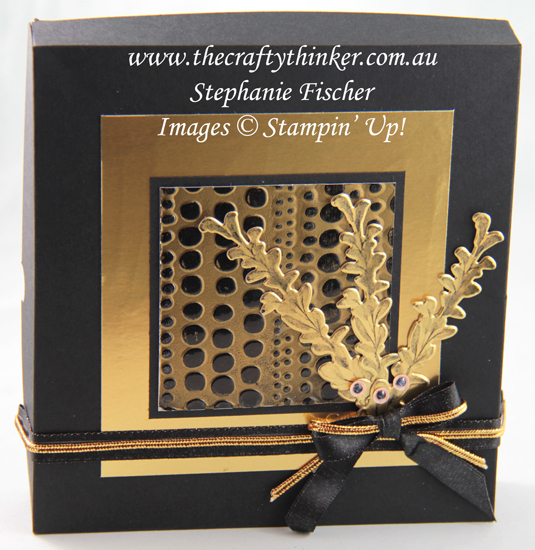 If you're interested in tips on how I made (and reinforced the sides of) the box, keep scrolling below the product list.